As Bob Dylan once wrote, “The times, they are a-changin’,” and he was right. Those words spoke of political unrest in the 1960s, but his message still rings true today. Before cell phones, great sums of time and money were spent by enthusiasts who wanted to learn the art of photography. Like stocks and bonds, it was an investment in lenses and experience in the dark room. Nowadays, any adolescent with an iPhone can snap a picture with Instagram, and use various filters to tweak reality. With this technology, Facebook has turned into the largest photo sharing network in the universe (read more HERE). It seems that anyone with a smidge of creativity can be a photog these days. So has the day of the professional come and gone? Has imagination plateaued due to social media? I’d say no way, Jose! If anything, Flickr, Instagram, and Facebook have brought the beauties of capturing photographs to people who would not have otherwise tried their luck. And with any sort of numbers game, when more people fall in love with taking pictures, more will find themselves yearning for greater creative control. Competition has a tendency to bring out the best in people, whether they like it or not. Kids from the tech generation will be the new wave of artists and journalists, challenging the way ‘old timers’ have seen photography over the years. Seeing the world differently starts just outside your front door. 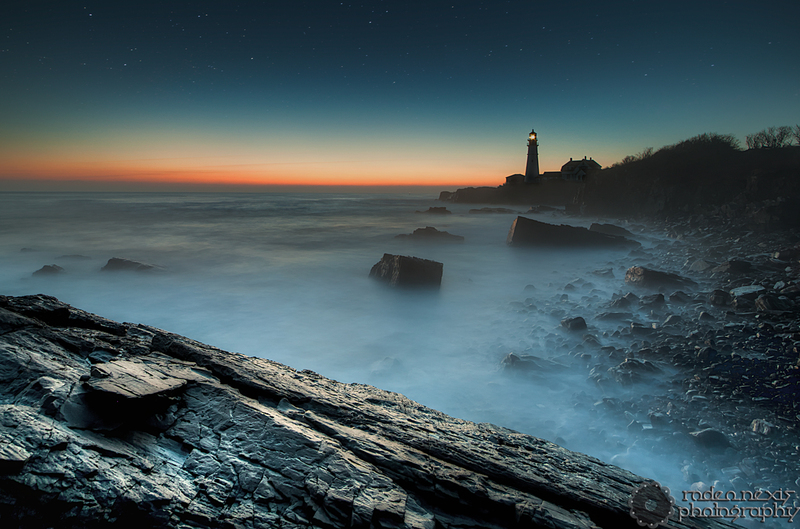 Above: a 25 second exposure of Portland Head Light. Cape Elizabeth, ME. Also, good photographers live in the same world that we view each day. The difference is they capture it in a way that no one has ever seen before. Relating this to Dorothea Lange’s words, a good photograph allows us to see our familiar world in a new light. It’s a collection of our memories, songs, stories, and loved ones…all wrapped up into a single 8×10. Worth a million words? That’s a low estimate.